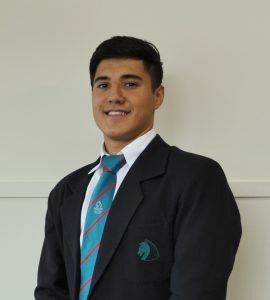 Hello, my name is Mortaza Sahar and I am honoured and grateful to be selected as a Head Student for Pakuranga College in 2018! I am looking forward to working alongside a great team of other Head Students and also very excited to see what this year has to bring!! I was born in Afghanistan and at aged 4 my family and I moved to New Zealand. I attended Elm Park Primary and Farm Cove Intermediate. Ever since I was young I really enjoyed playing team sports. With my passion of sports I was able to serve as the Chairman of the Sports Council in 2017. This year I hope to encourage and inspire students to take on the challenge and thrill of playing a sport for this school either competitive or socially. This is because I am a firm believer that the skills and life lessons obtained while working in a team would be beneficial throughout your life. I have been grateful enough to be chosen as a house leader for Pohutukawa (the best house) for two years, Captain of the first 11 hockey team and also delighted to be student Board of Trustees representative. Coming from a third world country I have been able to see how incredibly lucky I am to have all these resources around me, this has ingrained the attitude inside me that I must do the best I can do in every domain of my life, whether it’s to do with academics, co curricular or sports. I hope to study Neuroscience at University primarily because I love the idea of learning about the brain and how we could best utilise it. I hope I can inspire Pakuranga College students to; 1. Believe that they can achieve anything they put their mind’s to. And 2. To live life to the fullest every single day. Hello, my name is Lauren Price and I am honoured to be selected as one of the Head Students at Pakuranga College for 2018. I was born in New Zealand and have lived here for majority of my life, besides living in Thailand for two years while in primary school. When I was in New Zealand I went to Botany Downs Primary and then to BBI. Since Primary I have always loved netball and would play for school and club teams. I was lucky enough to be chosen to be in the Premier 1 netball team. Which gave me the awesome opportunity to represent the school in Australia for a netball tournament! I am looking forward to spending my final year being a part of the Pakuranga netball team and will make the most of what lies ahead. Pakuranga College has given me so many cool opportunities throughout high school. One big part of my time here was being involved in Stage Challenge from year 9 to year 12. Last year I was lucky enough to be a leader for this group. It taught me lots about leadership and I formed many good friendships through it. Among the amazing opportunities Pakuranga College gives students, this school feels like a community. There is more to this school than just the learning that happens in the classroom. This College treats you as if you are part of their family and really supports you on your journey of self-growth and exploration during your high school years. I have always loved being around people, encouraging and supporting them. As a head student for 2018 I hope to serve the school and my peers, but to also encourage them to become their better selves and to make the most out of every day. I am really looking forward to the year ahead and serving the school as best as I can. 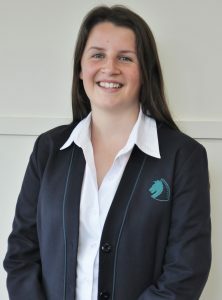 Hello, my name is Elizabeth Arrowsmith and I am honoured to be selected as one of the 2018 Pakuranga College Head Students! I am of English, Fijian, Scottish, and Tongan descent and have lived in Auckland my entire life. Before attending Pakuranga College, I went to Pakuranga Intermediate and Puhinui Primary School. I am very passionate about volunteer work and want to pursue a career in humanities. After high school, I want to undergo a degree in medicine or health studies. Throughout my time at Pakuranga College, I’ve been heavily involved in all areas of co-curricular; including, netball, concert band, Pasifika leadership, Amnesty, and other various groups. 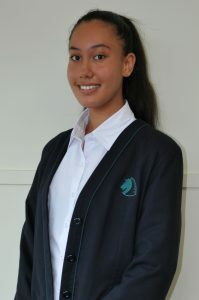 I am in Nikau house and have loved being a House Leader and Peer Support Leader in Year 12 and 13! One of my greatest achievements is being selected as one of the co-chairs for Interact – a subgroup of Rotary that provides service to the community. The learning habit that speaks to me personally is ‘Strive’. I’ve always been a very determined person and have learnt the importance of applying this mentality when I’ve come face to face with challenges, allowing me to achieve at the best of my ability. An aspect that I really admire about Pakuranga College is our culture. Students of all different backgrounds interact positively, creating the school spirit we are so known for, ‘Pak Pride’. Advice I would give to my year 9 self is to make mistakes! It is so important to give things a go, especially when you’re afraid. I believe that making mistakes is a vital part of growth- something that can only benefit you in the future. As a head student this year, I want to motivate the students to use failure as a stepping stone to greatness. I am so excited to be sharing this year with the other head students and I am honoured to have the opportunity to serve the school. Let’s make 2018 a great year! 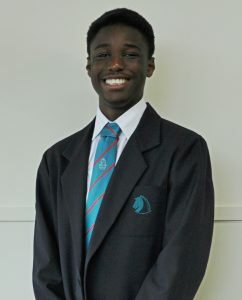 Hello, my name is Ininosa Obasuyi and I am truly humbled and honoured to be one of the Head Students for Pakuranga College 2018! I’m really looking forward to working alongside an amazing team and am keen on making the most of the opportunities that the role brings to better serve the school. I was born and raised here in New Zealand, however my family heritage can be directly traced back to Nigeria. Before starting Pakuranga College I attended Owairoa Primary and Farm Cove Intermediate. In my years at our College I have joined councils and clubs such as academic council, science club and I am currently on the environmental council executive team. All of these are councils I have found really enjoyable to be apart of. 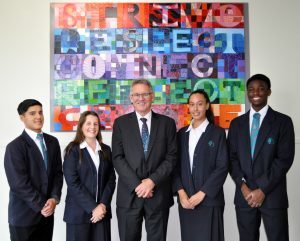 While at Pakuranga College I have developed a love for science and have had the wonderful privilege to attend the Rotary National Science and Technology Forum. If you are ever looking for me, you have a good chance of finding me inside one of the science classrooms! Outside of school I work for an organisation called LifeKidz, who provide after school and holiday care to children with special needs. After my time at Pakuranga College I wish to study a medical or engineering degree, ultimately I want to be at the forefront in the field of science and have a direct influence in improving the world we live in. This year I want to give back to Pakuranga College to the best of my abilities. I hope to help inspire students to explore the awesome opportunities the school has to offer, achieve their goals and be the very best people they can be!